If you own an iPhone or know someone who owns one, have you ever asked Siri a silly question just to hear what she would answer? Come on, admit it! When I first got Siri on my iPhone this was extremely popular with my kids (and me as well I have to admit). It provided some good entertainment for a while until the novelty finally wore off. As funny (and kind of sad) as it is to speak to a computer, we can actually learn a thing or two from Siri. The other day, after dinner, my daughter took my phone and asked another silly question ‘what do you like better, hot dogs or hamburgers?’ Her answer was: “I don’t play favourites.” First I laughed and then I got a bit reflective (maybe it was the wine). What a simple yet diplomatic answer! I started to think of some of the other types of answers Siri typically offers and how we could apply some of the concepts in our professional interactions. Here are some examples of what Siri would do, which could help make us more likable at work and keep us out of trouble. Siri does have a sense of humour. Especially, when she is asked an awkward or dumb question she often offers a witty, clever reply. Humour can often deflect stressful situations at work. I had a co-worker once who was a genius in applying humour in difficult or awkward moments. A funny but tasteful and appropriate comment can be extremely disarming. Siri does not engage in unprofessional behaviour. Siri doesn’t waste time, she doesn’t gossip, and she doesn’t play favourites. Unless you ask her if Apple is better than Samsung! Confidence is not the same as arrogance. It is ok to be confident with yourself and your competence. Say what you believe and say no when you disagree. Don’t be a pushover. Siri knows who she is (she was designed by Apple in California, and she is loyal to the company). She will say her answers with pride and a certain degree of finality. And if you mess with her she will tell you when enough is enough. Sometimes only the facts matter and not our opinions. Sure, there are times when we do have to give our (expert) opinion on an issue. But what I mean here are the situations where our boss or colleagues do not need to hear the entire story, nor our thoughts, and feelings about a simple issue. At work we should stay objective, non judgmental and focus at the task at hand. Siri only states the facts and doesn’t add her interpretations or opinions. Not being a pushover doesn’t mean we should not be a good colleague and pleasant to be around. 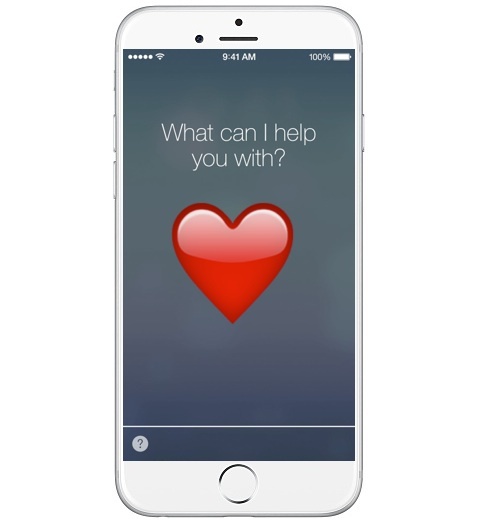 Siri is always ready to help others out and she does it with a smile in her voice.